I daubed the cover of this week's Big Issue, always a decent read. Black felt tips on paper, nothing clever, just lots of references. And done bloody quick too - two days' notice. 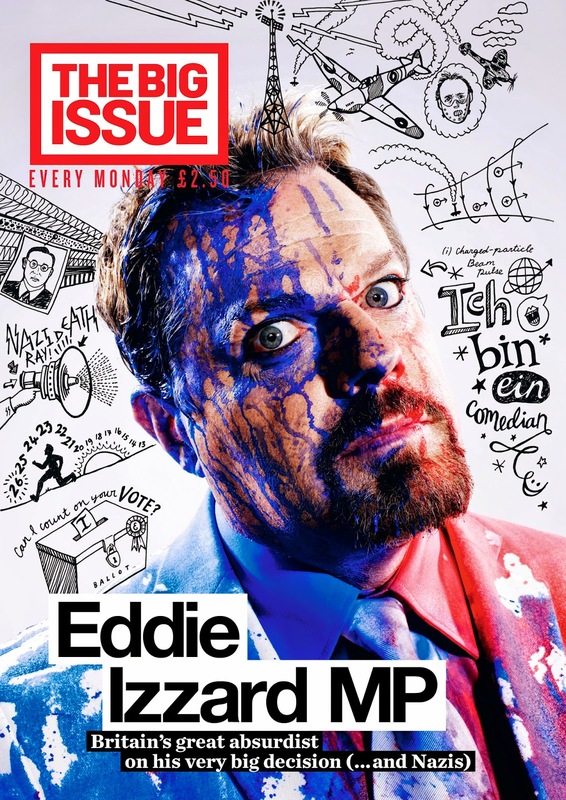 Renaissance-man Eddie Izzard is on the front, interviewed about his new role playing the inventor of radar! Spot the SS cufflinks.